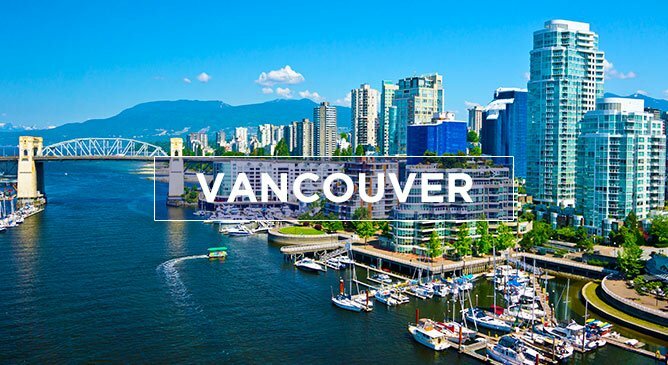 Like all North American cities Vancouver certainly ticks the box when it comes to shopping. Robson Street is a popular shopping street in downtown Vancouver that has a good array of trendy shops for young people, such as American Eagle Outfitters, Guess, and Bebe, plus more upscale offerings, such as Armani Exchange. On a different scale the Pacific Centre Mall is the largest mall in downtown Vancouver, even though you wouldn't know it to look at it. In a masterstroke of urban planning, most of the mall's over 100 big-name stores are underground, preserving the above-ground skyline and making downtown shopping comfortable, no matter what the weather is like. As immense as its name implies Metropolis is the biggest mall in British Colombia. It has over 450 stores, plus restaurants, movie theatres, and unique events. Located in Burnaby, this mall is just 30 minutes from downtown Vancouver by SkyTrain.